They feature a part removed, chopped away,to show the quality of the material, which makes this an even more special cutlery. 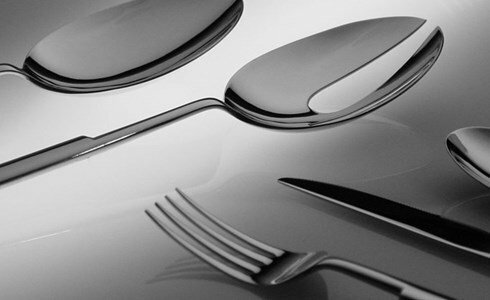 Cutlery set made of steel, the table cutlery consist of 2 knives, 2 forks and 2 tablespoons. The dessert cutlery consist of 2 knives, 2 forks and 2 tablespoons.